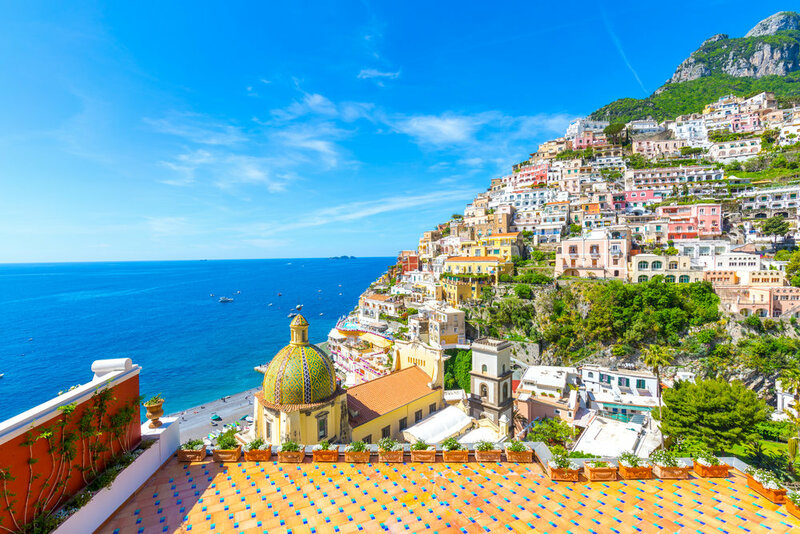 Join Scott Moore along southern Italy's legendary Amalfi Coast for an unforgettable week of incredible yoga, breathtaking ocean, and gourmet home-made Italian meals. Immerse yourself in the heart of Italian culture. The retreat will be held at St. Francis, a beautiful and tranquil renovated 16th-Century Franciscan Convent. St Frances sits just above the sea in an ancient fishing village in the Monti Lattari Natural Reserve, on the outskirts of Sorrento on the Amalfi Coast of Italy. You will arrive and get settled on Saturday May 26 and will leave June 2. All yoga, meals (at St. Frances), lodging, and an excursion is included with the tuition. You're responsible for airfare. My intention for this retreat is to help make your body, mind, and spirit joyful and present with a full banquet of delicious yoga practices, picturesque touring, and a warm cultural immersion. This will be a yoga retreat of a lifetime. My hope is that you will deepen your practice, discover the world, and treat yourself! I've been teaching yoga and mindfulness for 17 years in Salt Lake City, San Francisco, and New York City. I'm an E-RYT 500 and have a level 1 certificate for iRest Yoga Nidra with Dr. Richard Miller. I believe that yoga is for everyone. That's why I love to teach everything from therapeutic yoga, alignment-based vinyasa, restore yoga, meditation, and Yoga Nidra. I've taught several local and international retreats including many to places such as Spain, Greece, Italy, Croatia, Hawaii, etc. I've taught everyone from rockstars to recovering addicts, soccer moms to CEOs and one thing that I've learned from working with so many people is that everyone has an extraordinary life to live and that everyone's pathway to wellness is unique. I also love to write for Mantra Magazine, Conscious Life News, Elephant Journal, as well as my own blog. This retreat will be assisted by Kim Dastrup. Kim is an expert teacher from Salt Lake City who teaches internationally and has co-hosted several retreat with Scott. As a renovated convent, Saint Frances offers simple, clean and very comfortable accommodation. Each room opens to a spacious corridor, and all rooms have a view of the sea. There will be two or three guests per room. I'll assign you a roommate unless you come with a friend. You may opt for a single room for an additional price, however these are limited to 8. The half inside, half outside yoga shala sits next to the lemon groves of the convent. Practice yoga protected by lush greenery on one side, and a view of the sea on the other side. The convent is open and spacious, offering many unique locations for practicing yoga, meditating or doing workshops. Practice in the yoga shala, or choose from one of the many other wonderful spaces. Yoga will be geared to all levels and will be a mix of active, therapeutic, restore, and meditation. Reserve your spot with a $500, non-refundable deposit. The remainder of your tuition will be due no later than May 20, 2017. You may cancel and receive a tuition refund (without your non-refundable deposit) prior to March 20, 2018. You may also sell or give your spot to someone else in the event that you can't come. If we have a waitlist, we can help you find someone else who may want your spot, however it is not guaranteed. Full tuition is due March 20, 2018. Finish your registration by making your deposit via PayPal. Then check your inbox. You will also see an email in your inbox to add yourself to the email list where you will receive a welcome email and continued information regarding our retreat. The easiest way to reach Saint Frances Convent for our yoga retreat is to arrive in Naples by air, or Sorrento by train. Group transfers can be organized from these locations. Some group tours will be included, however you may also wish to rent a car for more fun. We will be meeting via an internet meeting group prior to the retreat to get to know each other, discuss the finer details, and make travel groups. You may wish to travel with a friend to share the cost of renting a car.